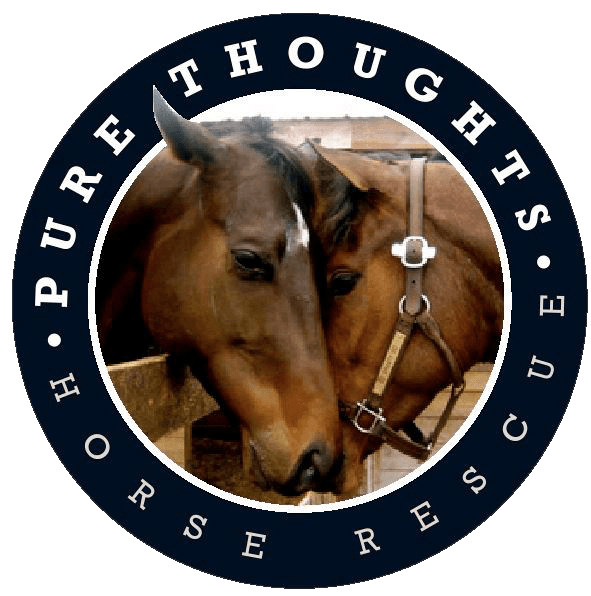 Adopt A Horse - Pure Thoughts Horse Rescue, Inc. 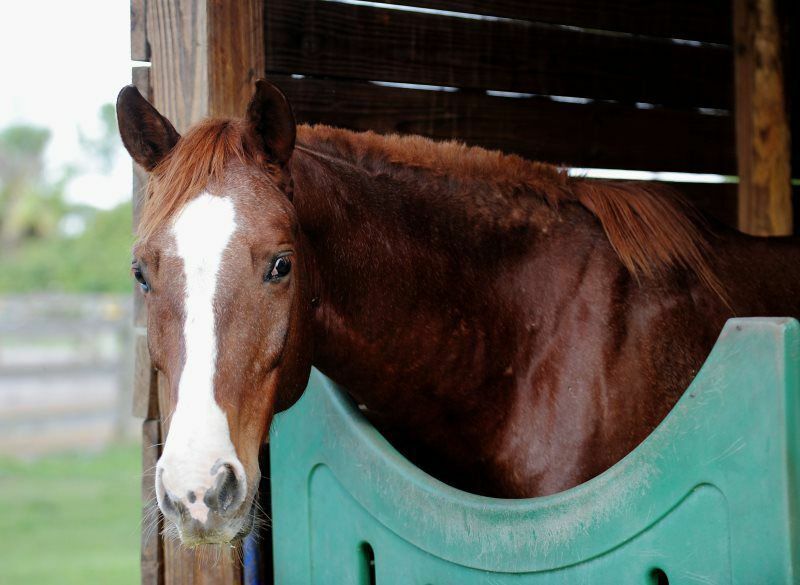 Many of our horses are available for adoption and are looking for their forever homes. Please consider adopting or just spreading the word helps a ton as well! 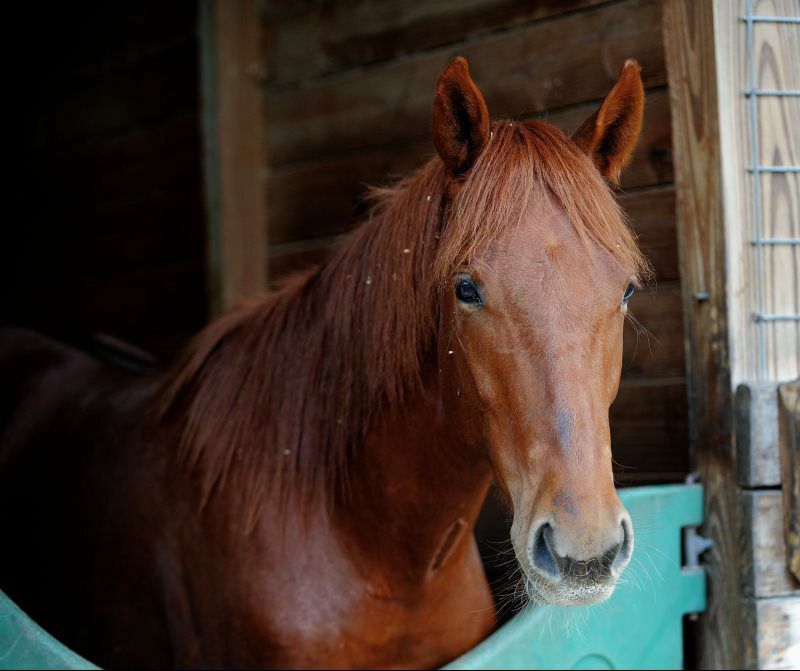 If you unable to adopt, there are many ways you can still help the horses here, whether it be volunteering, donating, fostering, or being a guardian angel for one of the many horses that are here. We get new horses often and sometimes its hard to keep up! 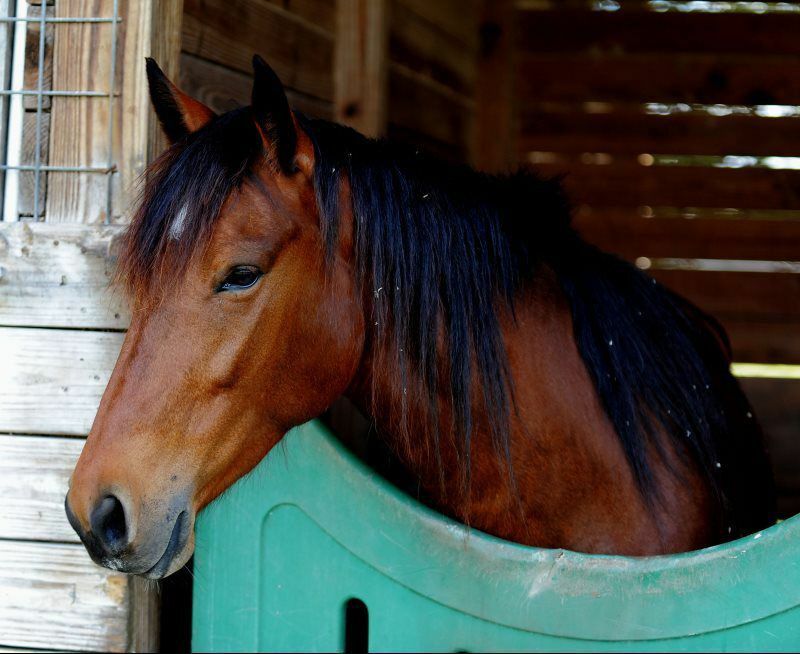 Call us to see what horses we have available! Below are the horses we have available for adoption, if you have any questions or inquiries regarding any of the horses here, feel free to contact us at 561-951-2108 Please know that volunteer hours do not effect what time you can call or come to see our horses!! 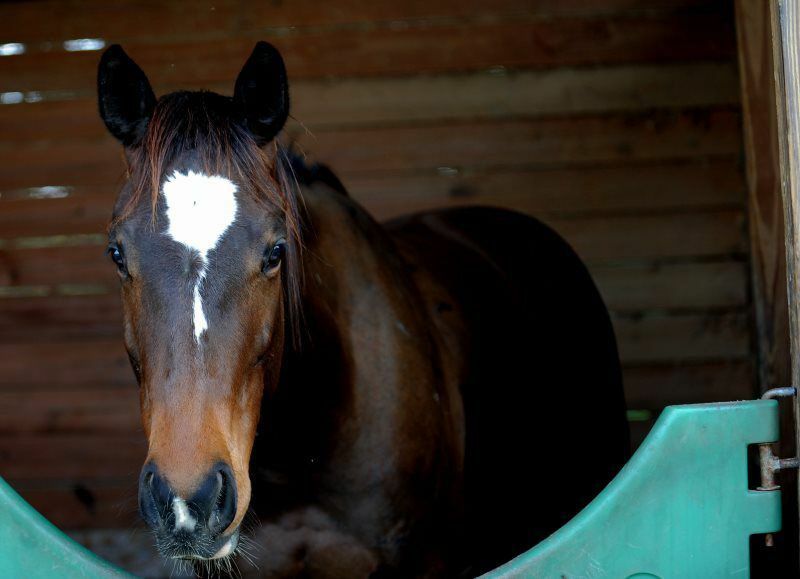 Luke is a peppy 2 and a half year old gelding who we expect to mature into a very athletic individual! Luke was rescued as a weanling in Florida when he was found standing next to his mother’s body, who died shortly before he was rescued. 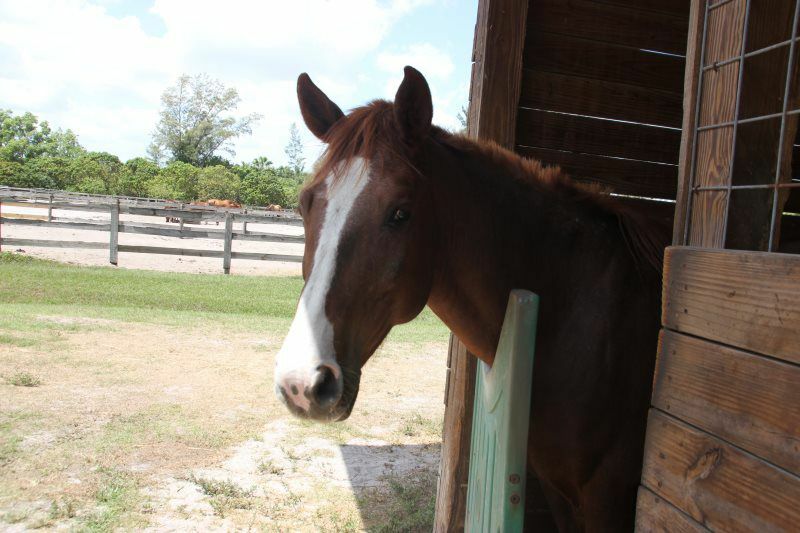 We are unsure of Luke’s breeding but guess he is a Thoroughbred-quarter horse cross. He has three very athletic gaits and would make a great sport horse prospect for any discipline. Luke is very playful in turnout and sweet on the ground- he has worn tack and been lunged and will be broke to ride shortly. Luke should mature around 15-16 hands. Tristin gets the most kissable face in the barn award, because how can you look at that nose and not want to give it a smooch? 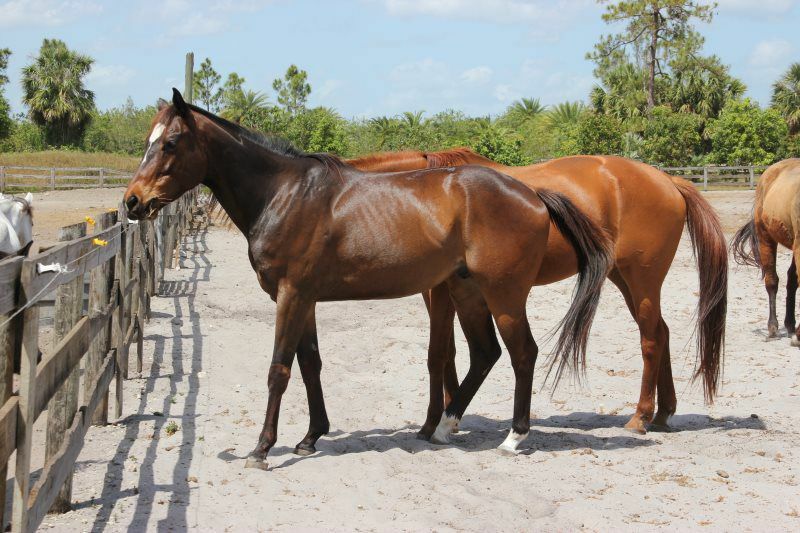 This 6-year-old Thoroughbred gelding is green broke to walk, trot and canter and is on the quieter, lazier side. His owners wanted to put him down when he was born with slightly crooked legs, so the rescue took him on. He’s perfectly sound and his legs have never caused him a problem! This goofy guy just wants a person of his own to love. Who doesn't love a good roan? 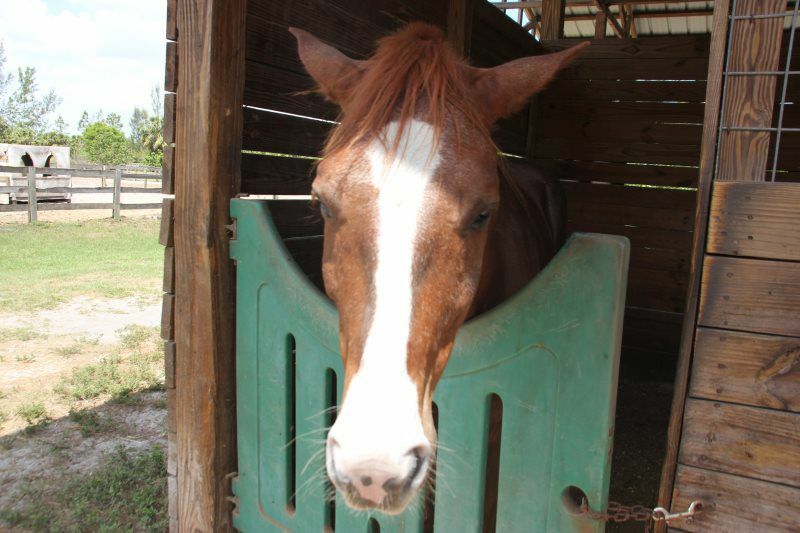 Sebastian is a lovely chestnut roan with lots of chrome, sure to get you noticed wherever you take him. This 4-year-old gelding of unrecorded breeding was rescued from a nurse mare operation — Pure Thoughts gelded him and has started him under saddle. With 20 rides under his belt Sebastian can walk, trot, canter and neck rein — finish him your way! 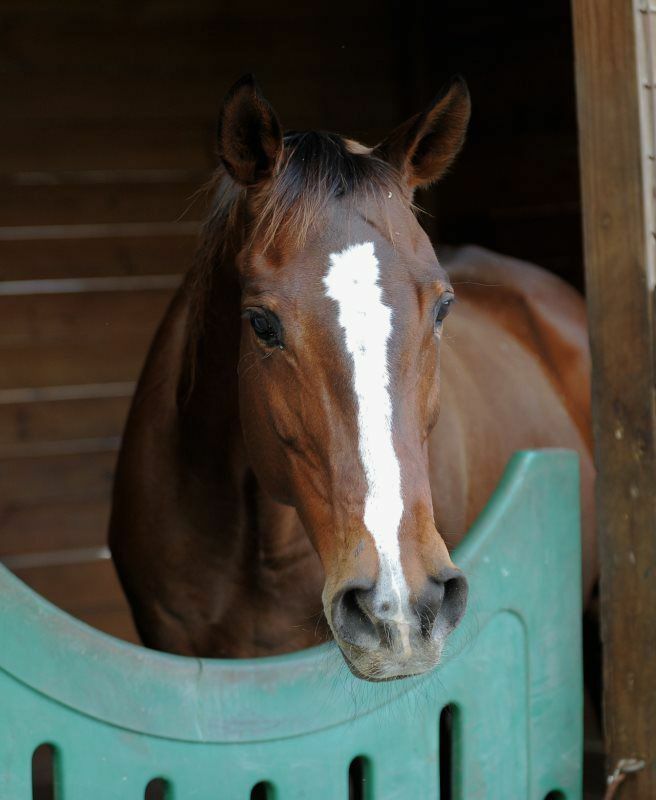 Mine Sweep is a 16 hand, 18-year-old registered thoroughbred mare who raced 15 times as a young horse. She's athletically built and earned over $50,000 dollars on the race track. Though currently out of work due to a lack of riders at the rescue, Mine Sweep can walk, trot, and canter under saddle and is a very comfortable ride. 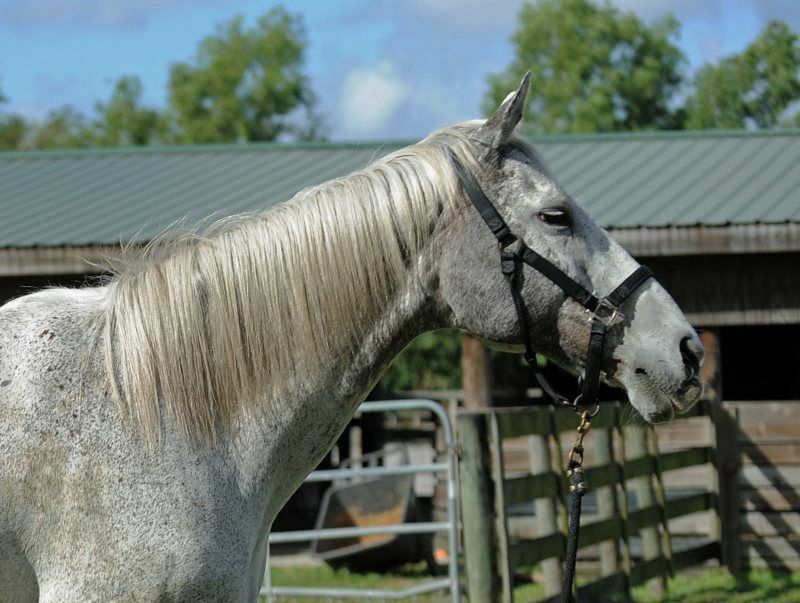 Nablina has some of the most unique markings we've ever seen on a gray horse! If you want to stand out in the crowd, she's your gal! 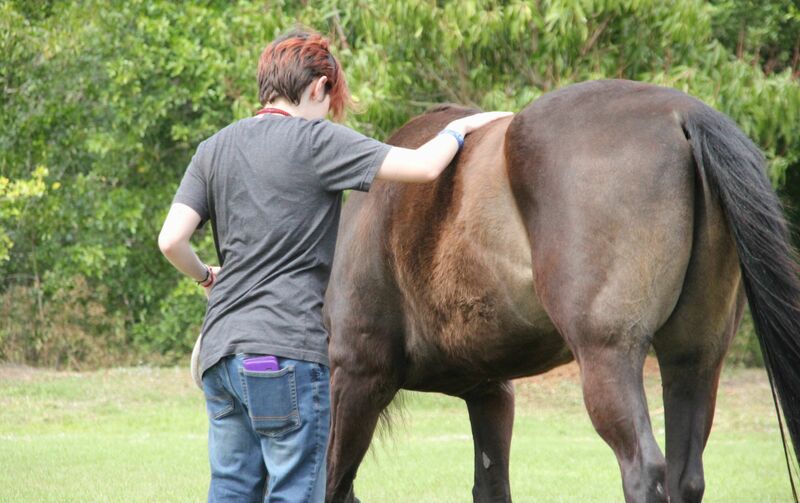 This 15 hand 18-year-old appendix is a retired polo pony who was rescued from starvation. 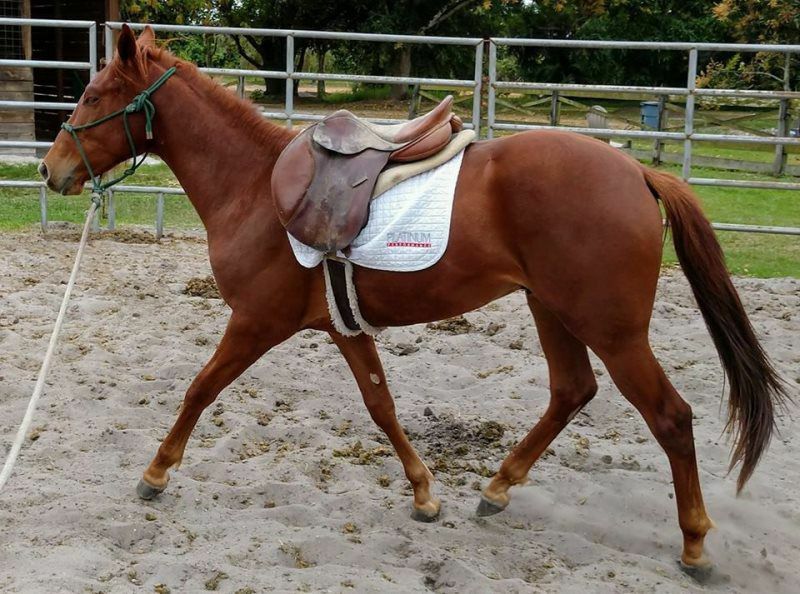 She's make a great trail horse and is suitable for novice/beginner riders.